BUKIT LANJAN: Cops turning rogue is no small matter! It was a really very disturbing news that 10 policemen have been detained for allegedly robbing foreign workers in Setapak, Kuala Lumpur. If the 10 cops are found guilty, the law must not show mercy. “They are trained and armed to uphold the law and to protect society. Instead, they turned rogue. 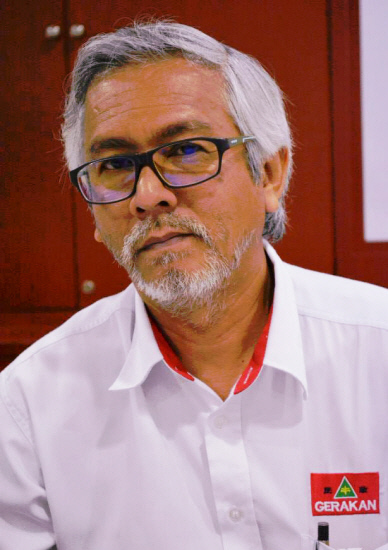 No mercy for them, please,” Gerakan Deputy Speaker Syed Abdul Razak Alsagoff said. He said cops going rogue against the law “is nothing new in Malaysia”. “There have been many cases of cops turning to robbery and murder for whatever reason and this case won’t be the last. “However, the Polis di-Raja Malaysia (Royal Malaysian Police Force or PDRM) must seriously look into its recruitment procedure, especially in assessing the discipline of its recruits. “One way to cut down on the possibility of putting such rogue cops on the street is to devise a monitoring system on the reliability and discipline of trainees. “They should be dropped from training if they fail the monitoring system,” he added. One of the accused being led out of the court room after claiming trial to the charge. Syed Razak, who is Gerakan’s nominee to contest N.37 Bukit Lanjan in the coming 14th General Electioon (GE14), said the PDRM should also study all the cases of cops going rogue to determine the reason for such behaviour. “The reasons will help PDRM understand its men in uniform better and also implement measures to eradicate individuals from going rogue,” he added. KUALA LUMPUR: Ten policemen were detained for allegedly robbing foreign workers during an operation in Air Panas, Setapak, here last week. The policemen allegedly committed the offence while inspecting a few housing units at about 8.30pm last Friday (March 9). During the inspections, two of the residents - a 62-year-old labourer and his wife - managed to show valid identification documents. Satisfied, the police personnel then moved to inspect a neighbouring unit and detained an Indonesian man and woman for not having valid documents. 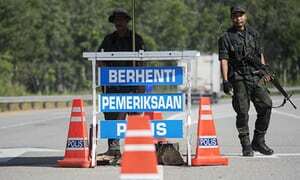 Sources said another resident sought the assistance of the 62-year-old labourer who agreed to pay RM2,000 to secure the release of the Indonesian duo. The labourer then returned to his home to take RM2,000 in cash from his cupboard, which also contained an additional RM2,900 and jewellery. He took the cash and handed it over to the police personnel. 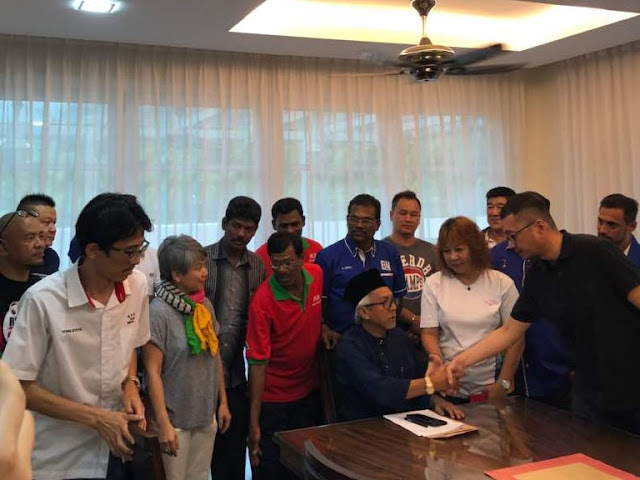 However, upon his return home, the labourer discovered that the RM2,900 cash, 10 gold rings, two gold necklaces along with four gold bracelets were missing. The labourer lodged a report at the Setapak police station. 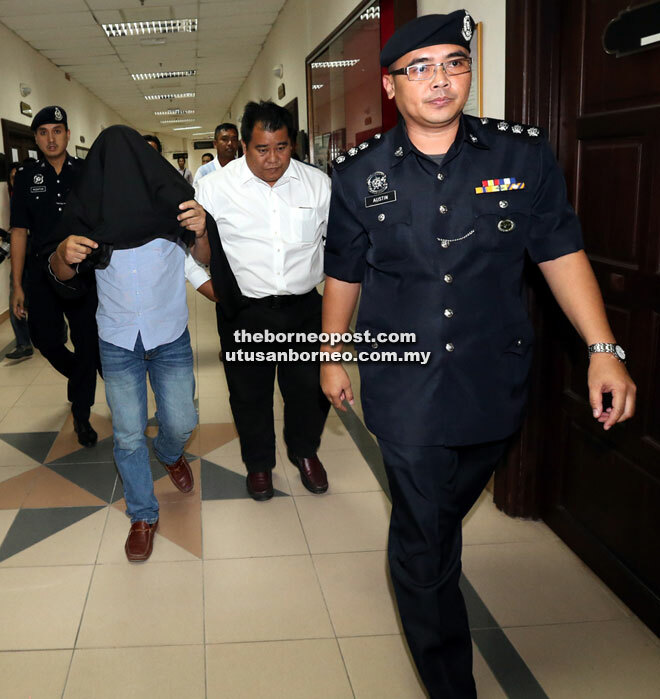 Inspector-General of Police Tan Sri Mohamad Fuzi Harun on Thursday confirmed the arrests of the 10 police personnel. “We have already detained the police personnel involved and further action has been carried out by the Kuala Lumpur police,” he said."